Use once or twice a week around the eyes. Leave for ten to fifteen minutes. Elemis Absolute Eye Serum afterwards. I have purchased this eye mask twice now and am always amazed that the texture does not cause puffiness on my irritation prone eye area. The mask is designed to sooth, tone, firm, decongest and minimize dark circles. 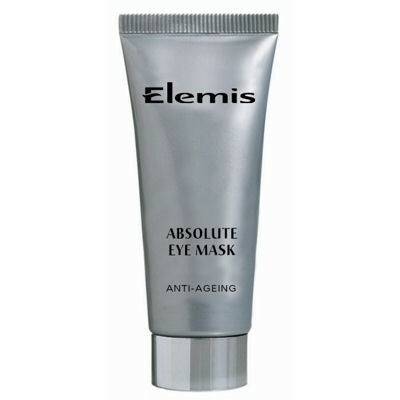 The mask comes in a typical Elemis design silver grey soft squeeze tube with silver lid. The mask itself has an off white gel/ cream texture and a very delicate floral scent. You only need a small pea size between two eyes which you smooth onto the whole eye area avoiding getting to close to the eye itself. Immediately you can feel a cooling and soothing sensation as whilst the mask does not absorb fully you will see some of the product disappear into your skin. I was concerned that this product would be too heavy for my eyes but was amazed to see that there was not a sign of puffiness or irritation after use. You remove the mask by rinsing gently, although I prefer to use damp cotton pads. After treatment the delicate skin around the eyes looks hydrated, firm and brighter with a definite plumping out of fine lines and crepiness. I like to leave a tube of this in the fridge as the cooling effects are twice as good when the mask is cold. 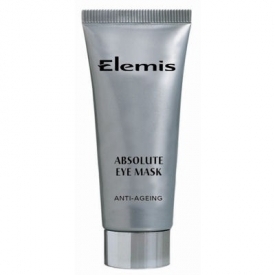 This product has also eradicated some small patches of milia that I suffered around my eyes possibly due to a congenital sinus problem that can cause congestion around my eyes. "I have purchased this eye mask twice now and am always amazed that the texture does not cause puffiness on my irritation prone eye area...."